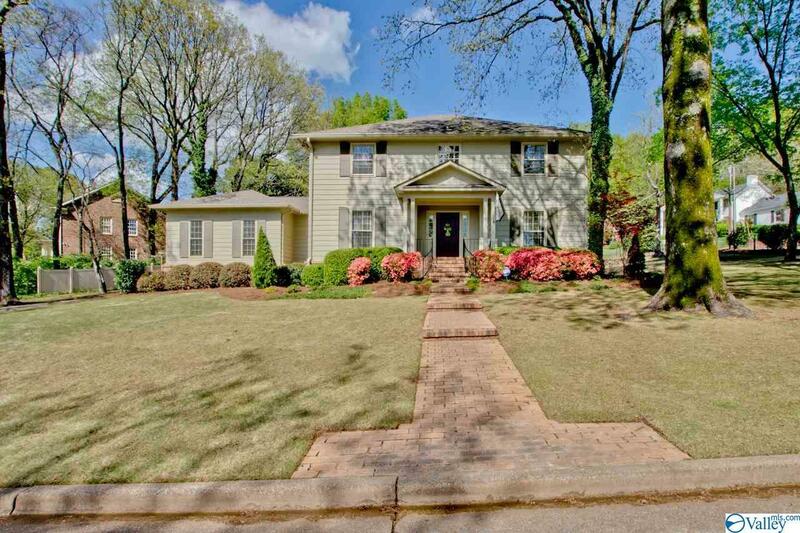 YOU WILL FEEL RIGHT AT HOME IN THIS BEAUTIFUL WILLIAMSBURG STYLE HOME ON A CUL DE SAC IN THE HEART OF HUNTSVILLE. WONDERFUL NEIGHBORHOOD AND A BEAUTIFUL TREED LOT. HUGE ADDITION IN 2014 WITH LARGE MASTER BEDROOM, BATH AND 2 WALK IN CLOSETS AS WELL AS LARGE FAMILY ROOM & BUILT IN SPEAKERS. BEAUTIFUL HARDWOOD FLOORS, 30 YEAR ARCH. SHINGLE ROOF IN 2010, 4 HVAC UNITS IN (2 NEW 2012), 2-40 GALLON HOT WATER HEATERS, DETAILED LANDSCAPING WITH SPRINKLER SYSTEM, IN GROUND ADJUSTABLE FIBERGLASS BASKETBALL GOAL, REAL REDWOOD SIDING(MAINTENANCE FREE), UNDERGROUND FRENCH DRAINS, BUILT IN SUBZERO FRIDGE, WALK IN LAUNDRY WITH WASH SINK, FLAT SCREEN TVS CAN REMAIN. PAINT AND CARPET ALLOWANCE.